Sure, most of us play poker to win. But there are many other reasons why people play poker, too. Knowing what motivates your opponents to play poker can help you figure out how to play against them. The best players play poker to make money. But that is surely not the only motivation that's out there. Especially among beginning and intermediate players, motivations to play vary widely. Understanding the reasons our opponents may be playing can help us better figure out how to play against them. In my experience, I've found at least eight popular reasons why people play poker. This is the primary reason many of us started to play poker in the first place. There is a pleasure to the company, and a sense of camaraderie that focuses on the conversation, the food, the drink, and the common experience. Winning is fun, of course — we'd rather win than lose. But for many, that's not the most important factor. No one likes to lose money, but for players who are playing to have fun, losing is the cost of entertainment. So keep the game entertaining, and keep players with this motivation from leaving the game prematurely. A lot of seniors fall into this category, especially retirees. Daytime, weekday games are full of them. They are regulars who typically play habitually, long since having given up on getting better or learning new techniques. Ask them why they are playing, and many will tell you that it's something to do. Don't get me wrong, they want to win, but winning usually isn't their primary motivation. They want to pass the time, and don't like to go outside their comfort zone. Give them a reason to avoid conflict and stress, and you'll find many won't give you too much worry either in hands you play against them. I've noticed a lot of players like this — younger players typically, but not always. They will gratuitously offer you poker lessons at the table, telling you what you did wrong. If they were chiefly motivated by winning, they'd save their advice and try to exploit your errors instead. For them, though, looking like the best player at the table is more important than actually being the best player. There's a strong temptation to show these players up — to put them in their place, or to react angrily to their self-promotion and showmanship. Don't bother. Solid play and patience will get their money. And that will be your ultimate satisfaction. Some opponents see poker as just one of a number of extremely competitive endeavors, much like sports. They play it with the same determination and combativeness with which they faced opponents on the ballfield, basketball court, or gridiron. Their motto is "winners never quit and quitters never win," which if you think about it is a terrible motivation for a game that is won by quitting when you're behind in order to win in the long run. Let them unleash their unbridled aggressive competitiveness. Trap them into poverty. Gambling is exciting for many players, with the thrill of the money riding on their bets being the ultimate motivation for their play. As Nick "the Greek" Dandolos is often quoted as having said, "the next best thing to betting and winning is betting and losing." Enjoy and encourage their mania, and be ready to gamble it up with them. Just be sure you have the best of it when you do. This may seem a lot like playing to win (see below, #8), but it's significantly different. Those who play not to lose avoid risk at all costs, folding too readily whenever they don't have the nuts. Put their stacks at risk and watch them avoid the possibility of loss by folding even when they have the odds on their side. It may seem pathological, but some players want to fulfill their prediction that they are snakebit and can't win. You've seen them pointing at the hand with which they've lost and saying things like "See? I told you so." Sometimes this is a temporary malady, brought on by terrible beats or some suddenly released inner demon. Do not try to bluff these players. They are there for the duration, until they are completely crushed. Unless your conscience bothers you, squeeze every ounce out of them. They will masochistically appreciate the pain of their awful losses. These are normally your toughest opponents. They are concerned chiefly with their bottom line — not in the short run, but for all time. They learn and adapt and focus on self-improvement. They care about their image only to the extent that they think they can use it to their advantage. Their weakness is sometimes their predictability, but the best of them have learned to be unpredictable as well. Of course, saying that you "play to win" isn't the same (or as easy) as actually doing it. Most of the people who believe this is their motivation fail to recognize all of the other reasons why they play poker, including those listed above. 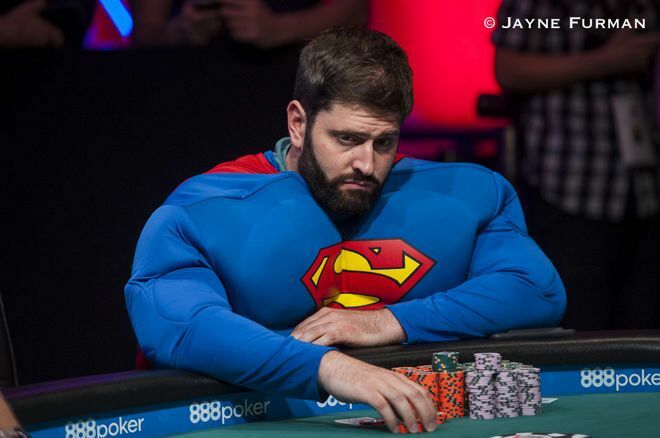 Players may not have a single, unchanging motivation for playing poker, of course. Reasons to play change and overlap. As such, in addition to helping you think about how to exploit your opponents, it might help you to think about what motivations you have for playing, other than winning. Though you might want to believe otherwise, it will help you if you can see the truth about all of the things that motivate you to play.